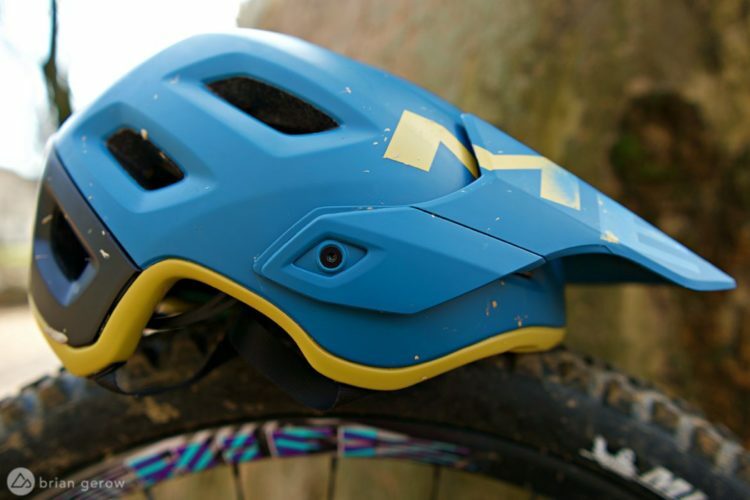 The Singletrack II is Endura’s new mid-price trail/enduro helmet. 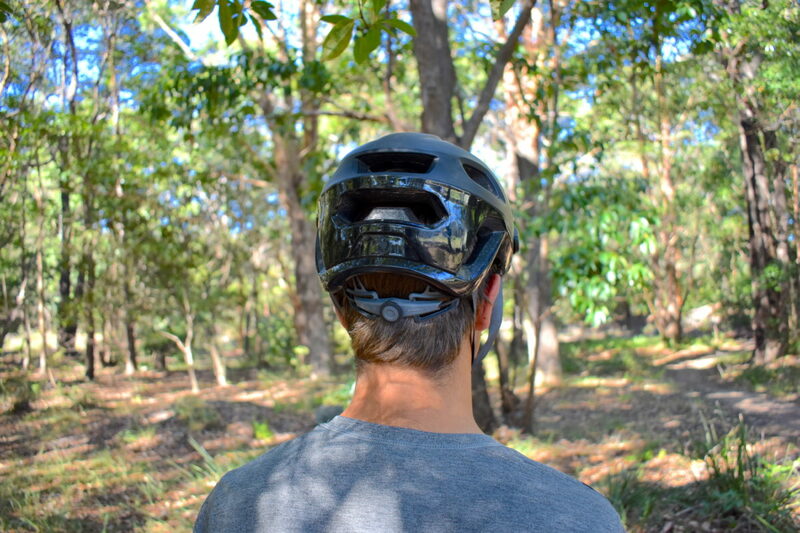 The Singletrack II helmet is Endura’s replacement for the first generation Singletrack mountain bike helmet. 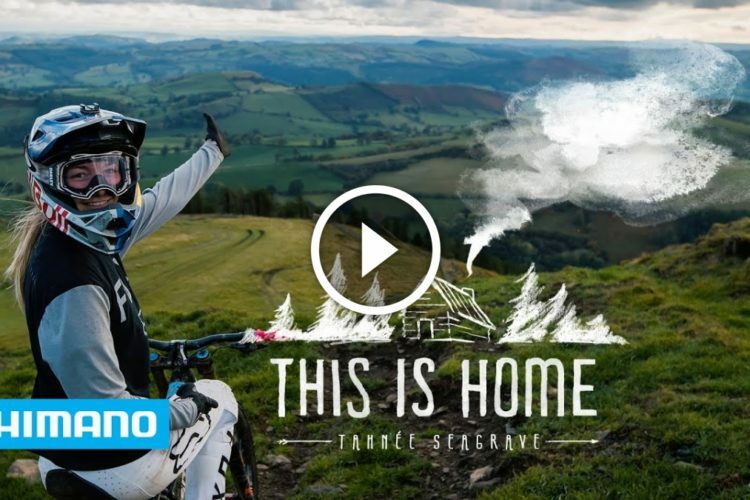 Endura is a British company, well known for their foul-weather clothing and kit, and while they have produced helmets for a few years now, they really seem to be making a push for it with their latest line. The First gen Singletrack was a trail lid, but with some poorly thought-out features and interesting styling, it didn’t do too well. 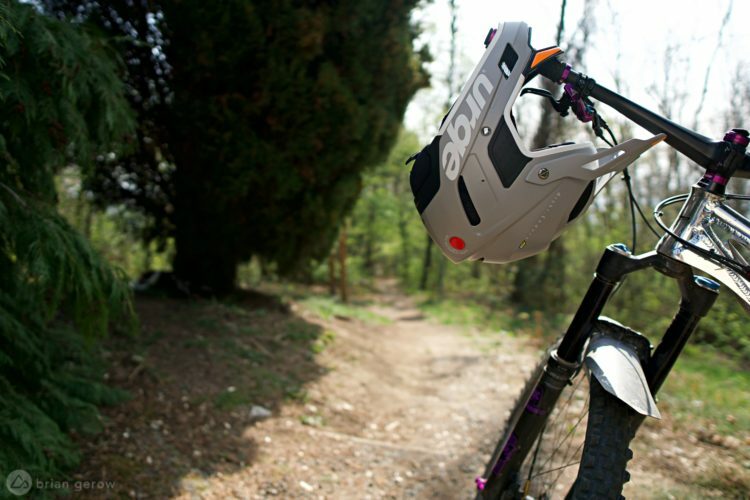 Priced at £75, the Singletrack II is a mid-price trail/enduro lid that looks much better initially. How does it fare under closer scrutiny? 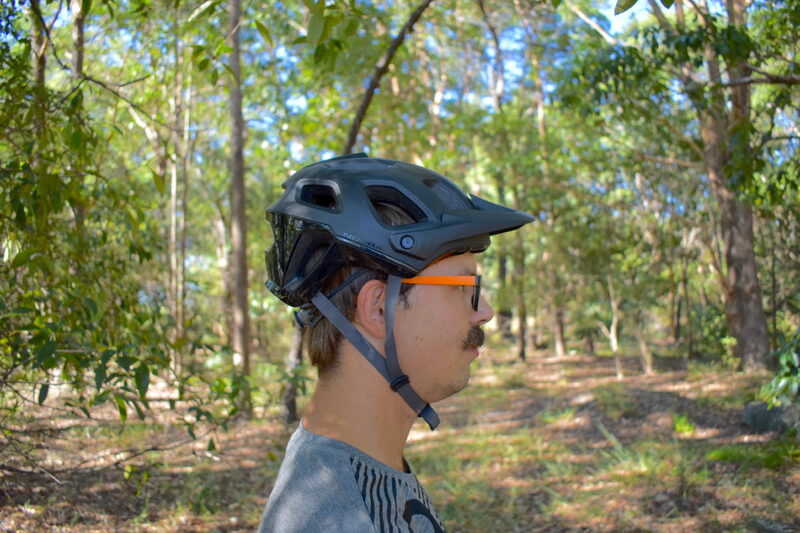 The Singletrack II helmet doesn’t come with a massive host of features, but what it does have works, particularly for the price. The visor is adjustable between four positions, one of which is goggle-friendly. The back of the helmet is shaped to retain your goggle strap. 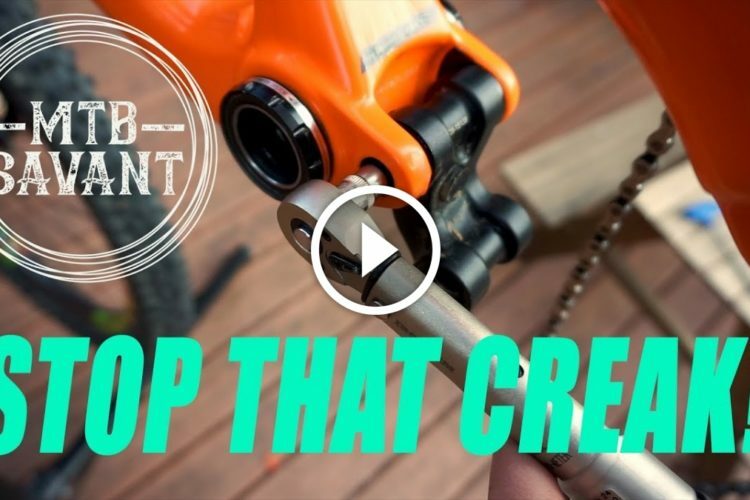 All of this should be pleasing to the enduro crowd! 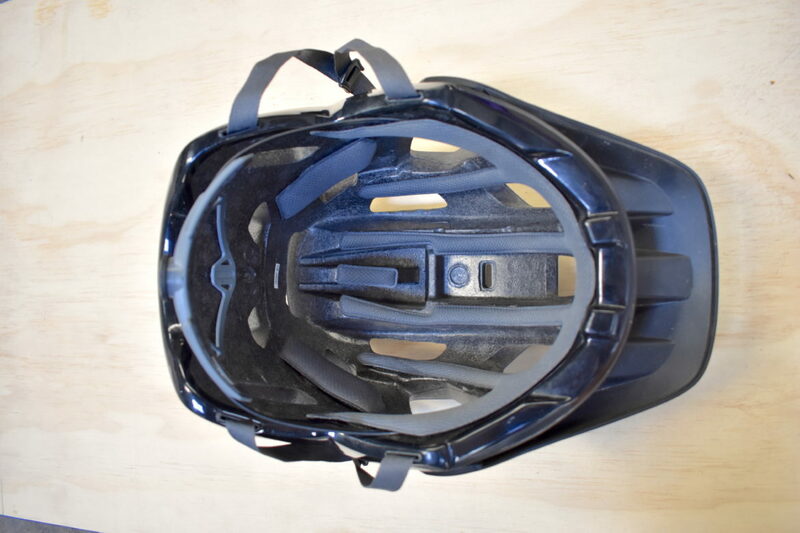 Endura’s Singletrack II helmet has an easily-adjustable visor and contouring at the back to retain your goggle strap (middle position shown). 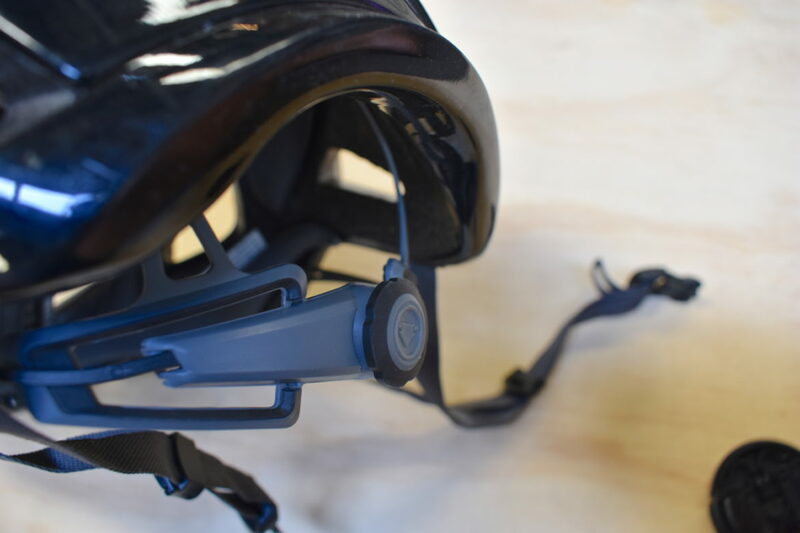 Endura’s micro-fit adjustment system uses a small wheel at the back of the helmet to adjust fit, as is fairly common these days. It works well, and the cradle, combined with the straps that fix into the bottom of the helmet, make for a fairly faff-free helmet. The buckle is a standard plastic affair. It’s nothing special, and it’s easy to use. The anti-bacterial padding is also claimed to be fast-wicking. It works alongside 14 very large, well-placed vents, including one big Subaru-style hood scoop at the top, to keep the wearer as sweat-free as possible. The Singletrack II has massive vents and channels between the fast-wicking padding. 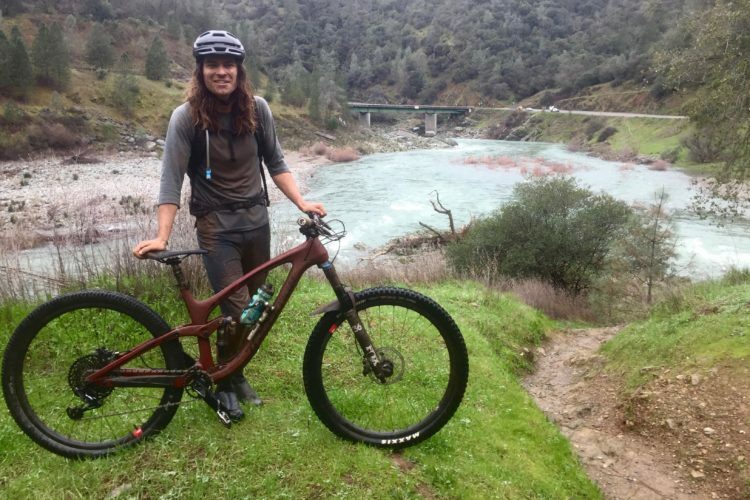 Unfortunately, at this price-point, the Singletrack II does not come equipped with MIPS. You’ll need to up your budget for the MT500 if you want MIPS. The Singletrack II is also compatible with Endura’s light/accessory mount that clips onto the top, but it’s not included. Again, the MT500 comes with the accessory mount, if that’s what you’re looking for. For reference, the MT500 is double the price at £150 but has a lot more features. It’s worth mentioning that, as the Singletrack II forgoes some of the high-end features of the MT500, it ends up being incredibly light for its intended use. The claimed weight is just 284g for size medium. The fit of the helmet is good. It has a fairly neutral fit, with a little extra space on the sides. The flexible plastic cradle hugs the shape of your head, meaning it should fit a wide range of head shapes. The dial on the back makes it easy to adjust to your head size. I tested a size M/L, which is my usual size, and it is spot-on. The helmet is made from molded EPS with a plastic shell. The plastic wraps around the base of the helmet protecting the edges and gives a premium look to a middle-ground offering. With a glossy lower half and matte upper, it adds a subtle contrast and keeps an understated yet classy look. 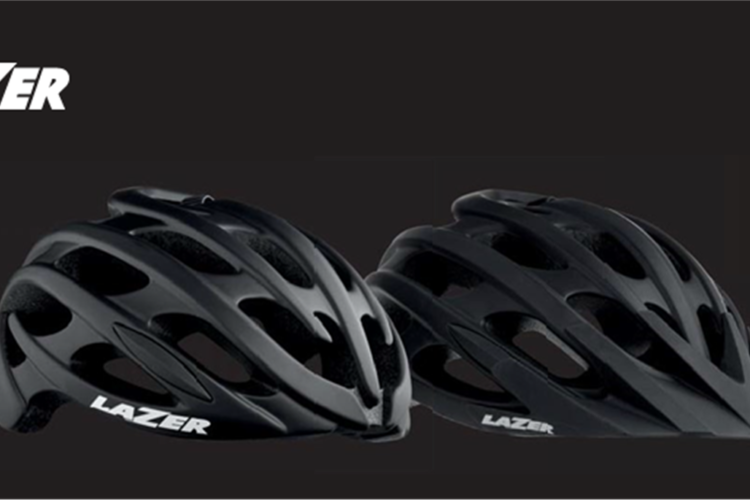 The Singletrack II is a good-looking helmet, clean and understated. 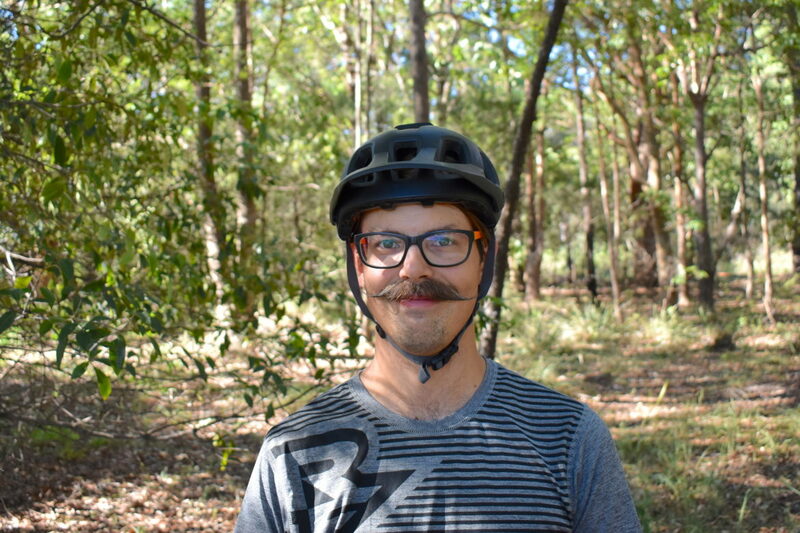 After putting the Singletrack II helmet on, the low weight was immediately noticeable. This is one of the lightest helmets I’ve ever used by a long way. 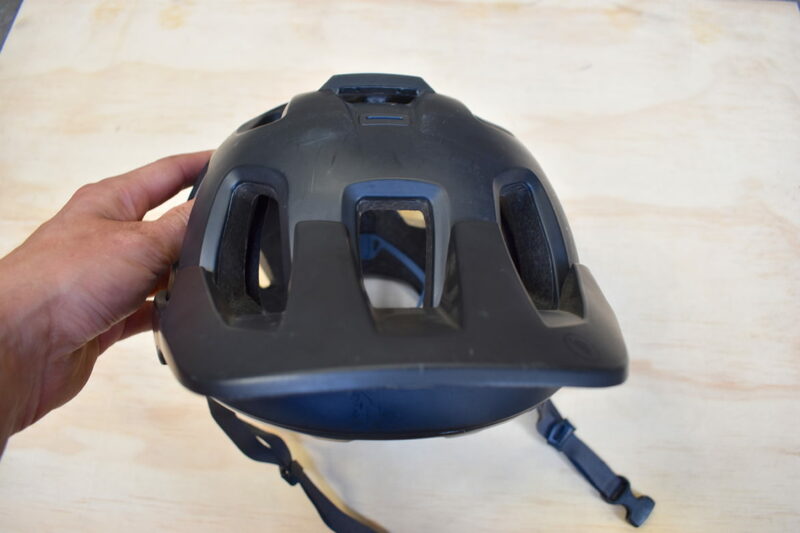 Combined with the padding that does indeed wick sweat pretty well, and the massive air vents, this helmet is one of my favorites for warm-weather riding. The vents are one of the best features of this lid. They’re absolutely huge and create a large amount of airflow. I am the type of person that sweats quite a lot, and I have difficulty finding helmets that work well for me in the summer months without cooking my head. 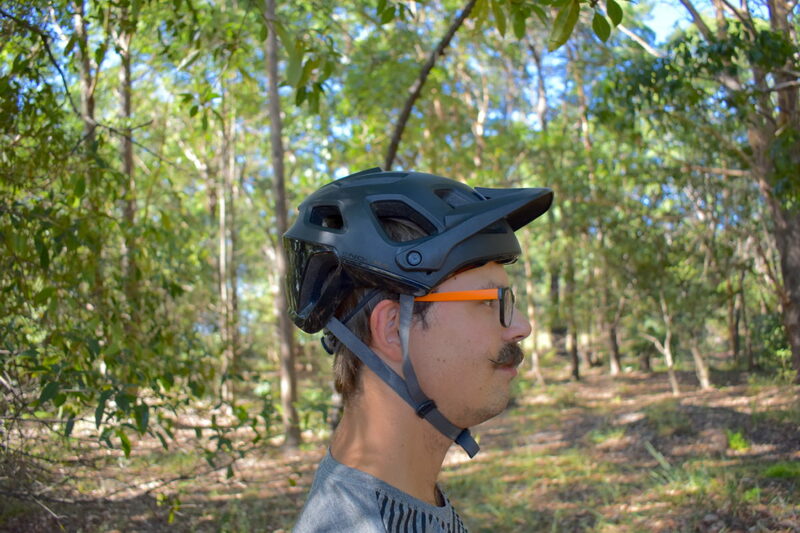 I’ve found that the Singletrack II keeps my head pleasantly cool, even on some of the hottest and most humid Australian summer days. Don’t get me wrong, I still get a good sweat built-up, but compared to many other helmets out there that can be stiflingly hot, this is one of the best in the bunch. Massive vents all over mean your head stays super cool. The padding on the Singletrack II is fairly minimal. However, thanks to the low weight of the helmet, it isn’t uncomfortable. When pressed down, for instance using a heavy camera, you can feel the top of the helmet a little bit, but overall it’s very comfortable. The Singletrack II also has much better coverage than the previous generation, wrapping around your ears and the back of your head. The straps aren’t particularly bothersome and fit around my ears well. Thanks to all of this, and again the low weight, the helmet doesn’t tend to move about much on my head. This result in a helmet that feels like you’re wearing nothing at all. The Singletrack II provides good coverage all over. The four-position visor is a useful feature. I find that I use it quite a lot when it’s sunny, particularly while riding at sunset. The visor is long enough to obscure the sun whilst not being so long that you can’t see where you’re going. 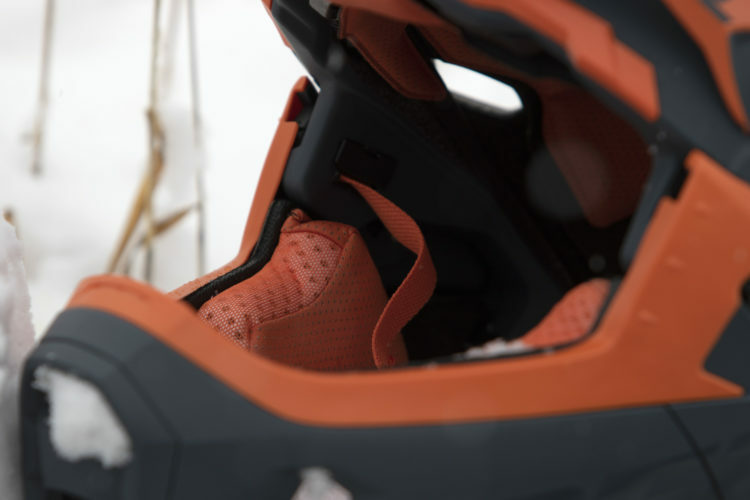 One small issue that I did encounter is that the tension dial on the back of the cradle protrudes down a little more than a lot of other helmets. This means that it snags on the top handle of my pack while riding, particularly on steeper terrain. This bothered me so much that I actually ended up cutting the handle off my pack. While useful, the retention dial sat low and caught the carry-handle on my hydration pack. 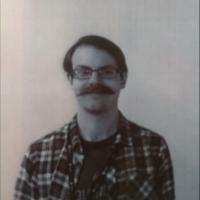 Hopefully, this is an isolated issue. 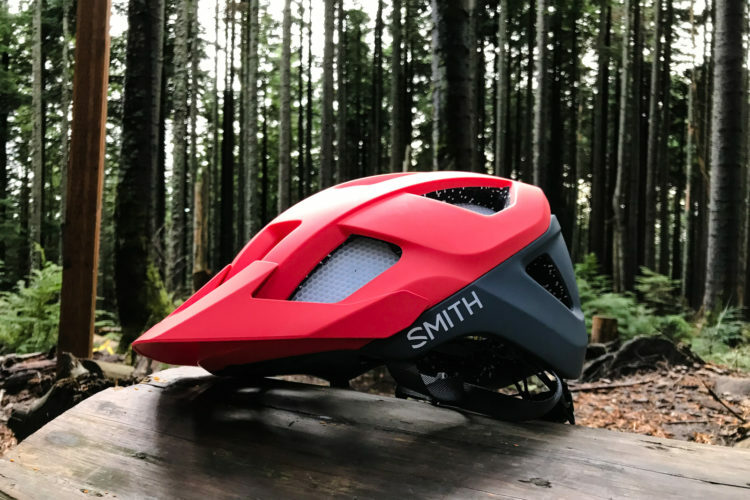 For a mid-priced trail/enduro helmet, the Singletrack II performs incredibly well and makes an excellent summer helmet. It’s comfortable, looks great, is well vented and has one of the most useful visors I have tried. A couple of small things let it down a little, notably the protruding tension dial. At this price, it offers great bang for the buck and is an extremely solid contender. It is well worth the money, in my opinion. Editor’s note: This helmet is not available for purchase in the USA. 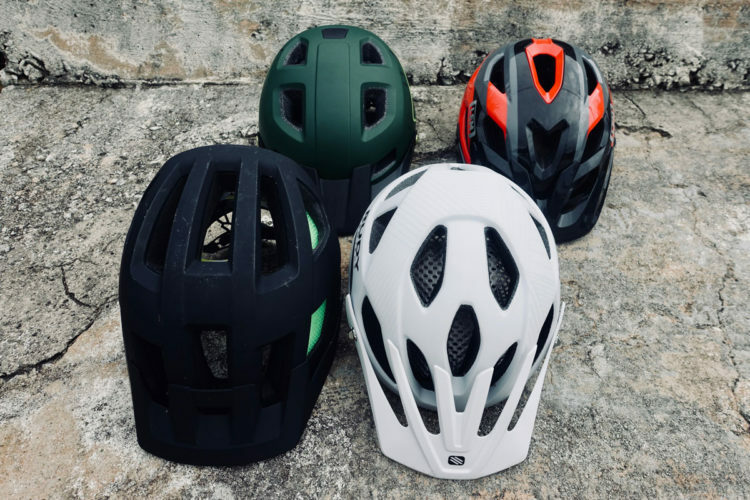 While the Singletrack II has passed EU helmet safety standards, Endura has not yet elected to apply for US safety certifications, which are said to be more lenient than the EU standards.